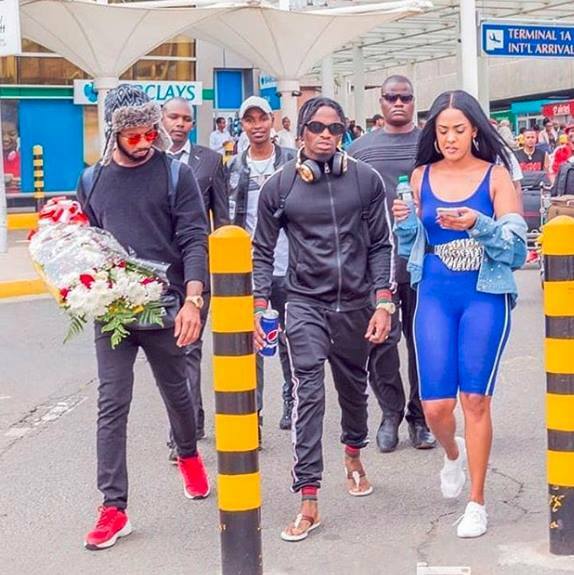 Diamond Platnumz and Tanasha seem to have hit the ground running as they are now speaking marriage and are taking videos of themselves getting cozy. In a short clip posted on Diamond’s stories, he wants everyone to know that he is so deep in love and nothing can come in between them. Kwani kuna nini @diamondplatnumz ?????? Mbona unatumia Nguvu nyingi kwenye hili penzi Jipyaa ?????? @zarithebosslady njoo uone mambo huku???? In a recent interview with Wikienda, Diamond revealed that he is ready to settle down with Tanasha as she is the only one who has taken him seriously. “Tanasha is the only lady who showed me some seriousness on the (marriage) idea and I now officially announce that I am marrying her,” Diamond said. He revealed that he will be popping the question soon and will not let this one slip through his fingers. “She got all the qualities of a woman any man would wish to marry. Many of us men only focus on the physical attractiveness of a woman, body shape among other things, which she got as well, but what convinced me more and attracted me is her good manners,” Diamond added. Some fans think that the couple is moving too fast, but let’s wait and see.